Our trucks are in your area now! When homeowners across South Florida encounter glass repair problems, they immediately realize the potential hazard and security risks that are associated with it. Whether it is the sharp edges of the glass or the possibility of burglary, a broken glass window or sliding glass door repair demands immediate attention and action for a swift glass repair. Incidentally, inexperienced individuals themselves should not attempt to repair glass windows or sliding glass doors. In order to ensure a sturdy and risk-free repair, you should only rely on the professional services of a reputable glass repair company Miramar FL. However, the selection process for these companies can often be daunting, especially when residents or business owners have not faced a similar situation in the past. The following section explains key considerations that you must pay attention to, before you finalize your decision to hand your glass repair project to a glass repair company. During your hunt for a glass repair expert in Miramar FL, you must review online sources and customer reviews to ensure that you select a company with highly skilled and fully trained staff. Another tip to make sure that you find a truly professional glass repair cpmpany is that you should initiate open communication with the representatives. You must only trust a glass repair company that offers transparency of information about their material selection. For example at Express Glass & Board Up Service we offer a 5 year warranty on the quality of the high impact glass and a 10 year warranty on the insulated units. Customers could request a certificate of warranty upon request. Once you acquire knowledge on the types of material options the glass repair company has, you must perform some quick research on the material. This is how you can be confident about the quality of the materials. It is equally important to find an option that charges reasonable rates which are compatible with your budget. This is why Express Glass & Board Up Service offers Free Estimates and an Instant 10% Off. Glass Repair – Outside of automobiles, we repair nearly every type of glass imaginable. From sliding glass doors to home windows to entry way doors if it has glass in it – whether residential or commercial – we can either fix it or replace it with the best service, and best prices in the industry. Sliding Glass Doors – You take them for granted, until they break. How many times a day, a week, a year does that sliding glass door open and close, close and open? When your sliding glass door is broken, call us for a free estimate. Any type of sliding door that has glass in it – including the popular French doors – is a service area of ours. Board Up – For both Miami businesses and residents, we offer a board up service. By this, we mean that if we can’t fix it, or replace it, we will board up your house or business until the parts and replacements come in. If you’re a victim of vandalism, or just an employee accident that breaks a window or door, call the best board up service in Miami-Dade county (that’s us). Commercial Glass Repair – Small businesses love us, from Little Haiti to Little Havana, Lumus Park to Flagami, Upper East Side to Coconut Grove, wherever your restaurant, auto shop or other type of South Florida business is located, we can help. Emergency, 24 Hour Glass Repair – Nature, vandals and accidents know no bounds, nor do we. Our trucks are roaming the Miami area, 24/7 on an emergency on call basis. So if you’re looking for an emergency glass service or a 24 hour glass repair service in Miami – you’ve found us. Call us now. We really don’t need that extra donut. Residential Glass Service (Home Window Glass Repair) – If you’re a homeowner, we can help. We’re fond of saying we have the top-rated residential repair service in the city – and our customer reviews prove it. Patio Doors – You name it, if it has glass in it and it’s in a house or a business, we can fix it. That includes patio doors, sliding doors of all types, and even French doors. Contact us for a free, no cost-estimate. The city of Miramar is located in Broward County, Florida, about 14 miles southwest of Fort Lauderdale and 20 miles north of Miami. 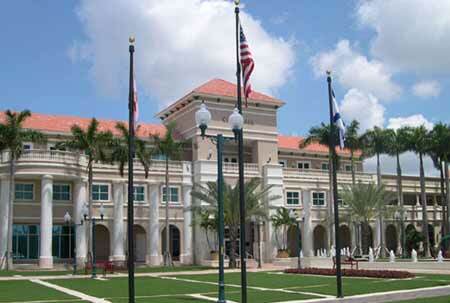 Nearby municipalities include Hollywood, Sunrise, Plantation, and Pembroke Pines. Named by Robert Gordon, the city’s first mayor, “Miramar” is Spanish for “View of the Sea”. The city shares its name with a Cuban suburb of Havana. Incorporated in 1955, Miramar has seen its city boundaries grow over the years from their original size of 2.9 square miles to the present size of over 30 square miles. The city’s motto is “Beauty and Progress”, a phrase which is inscribed on the City Seal. Miramar has 22 neighborhood parks and 5 community parks within its boundaries. Also in town is the Miramar Civic Center, site of yearly events such as September’s Caribe Fest and October’s Halloween Masquerade Dance. Presently under construction in Miramar is a Town Center which is expected to house a new City Hall and public library, with retail and residential components included in a park-like setting with waterfront views. This complex will include the Miramar Cultural Arts Center, a venue for artists, teachers and students to perform, rehearse and exhibit. Broward County sports fans have a state-of-the-art facility in Sunrise’s BankAtlantic Center, home of the National Hockey League’s Florida Panthers. The training camp for the National Football League’s Miami Dolphins is also located in the county (in the city of Davie), and baseball fans who visit in the spring can catch Grapefruit League action in Fort Lauderdale, the Spring Training site of MLB’s Baltimore Orioles. A half-hour drive south will bring visitors to the city of Miami, where more major league sports action can be found. The Dolphins play their NFL home games at Dolphin Stadium, which is also the home of Major League Baseball’s Florida Marlins. Basketball fans can watch NBA games played by the Miami Heat at the American Airlines Arena, located in the city’s downtown area.